What little jewels you will find in these sets. 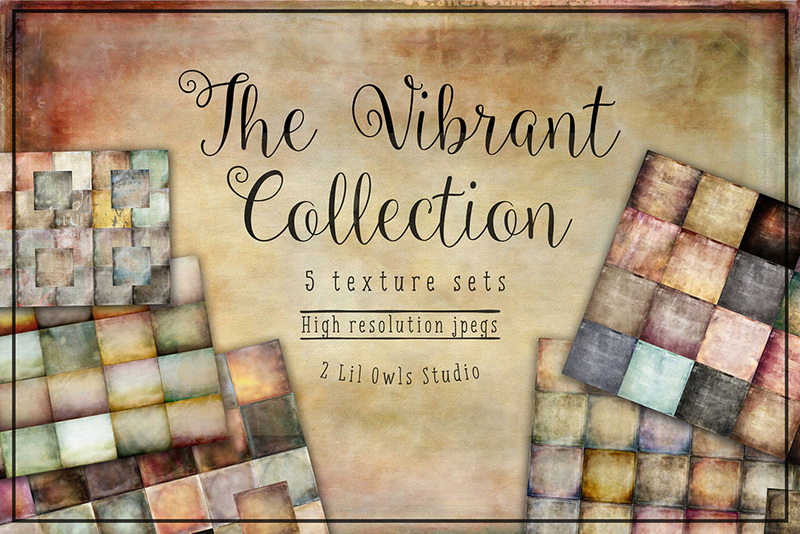 This collection pulls together some beautiful colors and interesting subtle textures for you to work with. Their vibrant colors are sure to inspire you to new heights in your work since they are little pieces of art in themselves. I spend tons of time and include lots of layers to get the perfect amount of texture you will find in these collections. All textures are 12×12 high-res JPG files, 300 PPI. Software compatibility: .JPG files will work with most graphic softwares. All textures are 12x12 high-res JPG files, 300 PPI. File size is approx 475.5MB (507.2MB unzipped), offered as a single download. Wow! Excellent addition to the marketplace. I just love 2 Lil Owls textures. The old credit card gets a bit more excercise this month, as I couldn’t resist the Vibrant, Rugged & Grungy Texture Packs. These should keep me busy for a while! Thanks Design Cuts – keep up the good work!! Happy Designing Martin! If there is ever anything I could assist you with please do get in touch. I’m always happy to help! Oh wow, love the new additions to the marketplace! Just a quick question – for the products, like this one, which haven’t been featured in a past deal – can you guarantee they won’t be featured in a future deal? I have just sent you a quick email to help you out with your query, I hope it helps, and please don’t hesitate to contact me should you have any other questions. I’m always happy to help!